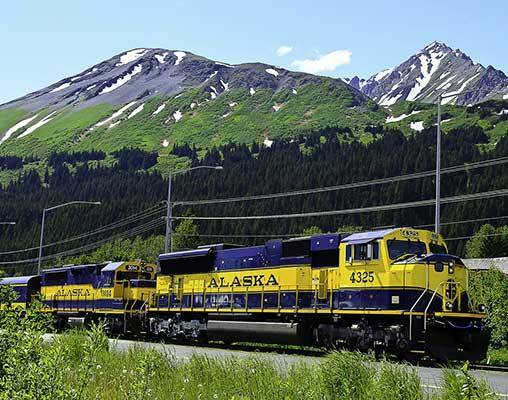 Riding the Alaska Railroad, you see all the best of Alaska including Kenai Fjords and Denali National Parks. 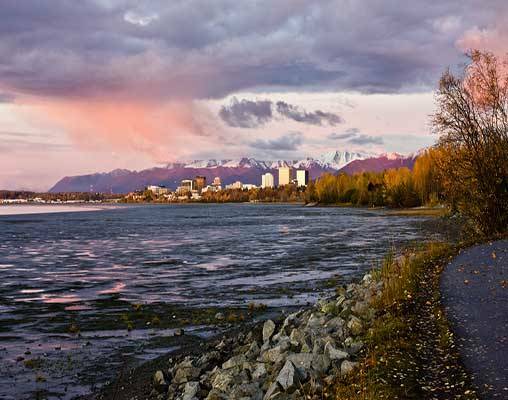 Begin your Alaskan adventure in the state's largest city of Anchorage with a day to explore this grand city on your own. Next, you'll enjoy a train ride to the Spencer Glacier Whistle Stop. Here you'll see glaciers up close and personal on a float tour down the Placer River. The next train journey takes you alongside Turnagain Arm with beautiful views on your way to Seward. 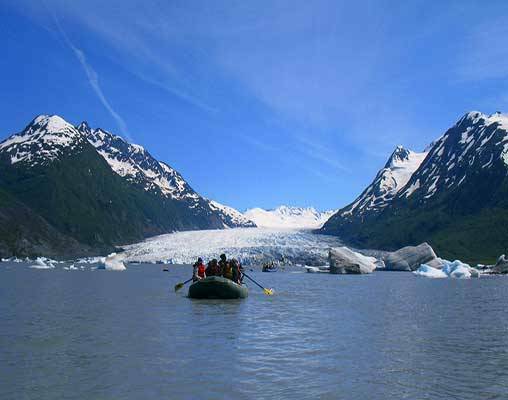 Here you'll cruise through Kenai Fjords National Park with stunning views of glaciers—and hopefully spot whales and sea lions too. 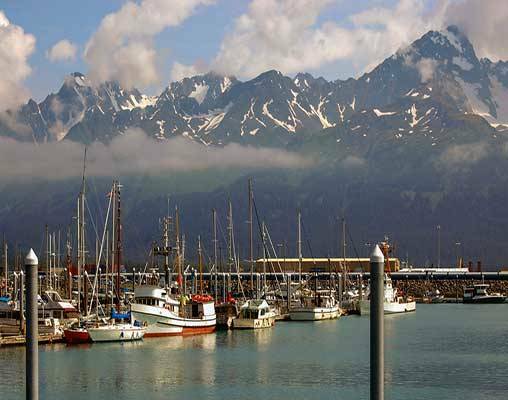 In Seward, you'll experience true Alaskan culture with a dog sled ride and a roadhouse lunch. An overnight train ride takes you to Anchorage before you head to Denali, where you're greeted with a fun theater experience. You'll have plenty of time to visit the beautiful Denali National Park, with a full-day bus tour followed by a free morning to explore the area on your own. 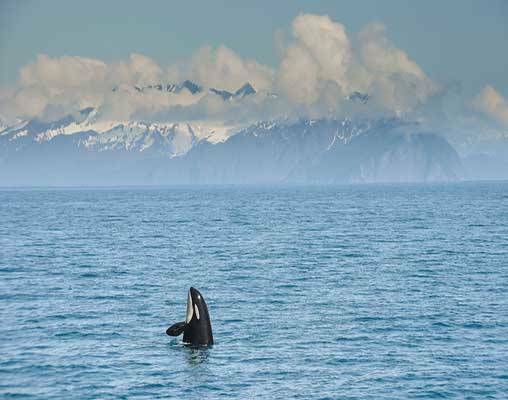 Wrap up this excursion through Alaska's greatest spots as you loop back to Anchorage. Travel via the Glacier Discovery Train to the Spencer Glacier Whistle Stop. Float among the icebergs at Spencer Glacier and down the Placer River. A short train ride to Portage follows the float tour. A motorcoach transfer from Portage to Girdwood gets you back in time for dinner. Overnight at the Hotel Alyeska. Board the Coastal Classic Train for a breathtaking ride along Turnagain Arm and through scenic Grandview. 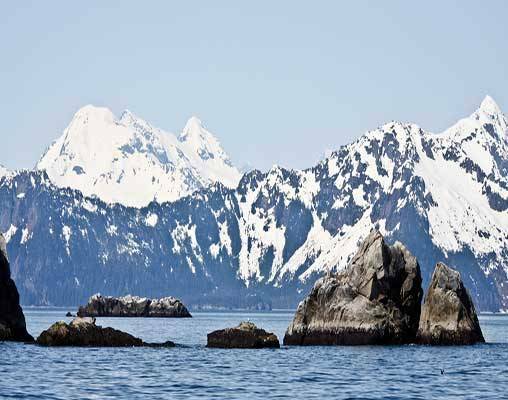 Upon arrival in Seward, embark on a cruise of Kenai Fjords National Park in search of glaciers, whales, sea lions and more. The onboard Park Ranger ensures you'll stay informed and entertained. Overnight in Seward. Today, explore the charming port community of Seward, Alaska. Start the day at the SeaLife Center. In the afternoon, the Real Alaska Tour promises authentic adventures, including a dog sled ride, lunch at an Alaska roadhouse and a tour to massive Exit Glacier. Later, depart on the Coastal Classic Train and overnight in Anchorage. Journey to Denali National Park aboard the Denali Star Train. Enjoy an evening of rip-roarin' entertainment at Cabin Nite Dinner Theater (choose 5:00 pm or 7:30 pm reservation). Overnight in Denali. 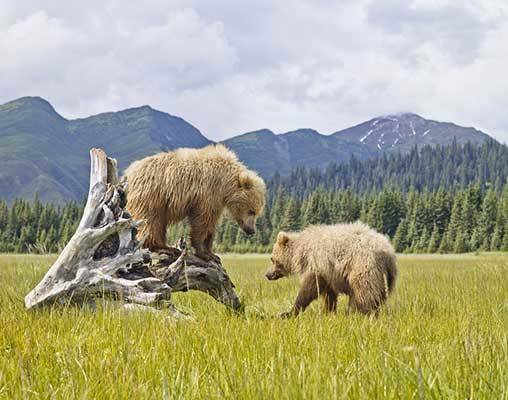 Embark on a 13.5-hour narrated bus tour into the heart of Denali National Park. Wildlife sightings are common, so keep your camera handy. Enjoy a buffet lunch in the heart of the park. Overnight in Denali. The morning is at your leisure in Denali. That afternoon, return to Anchorage on the Denali Star Train. Overnight in Anchorage. Click here to view testimonials for Deluxe Alaska Sampler. Well organized with trains always on time. Excellent quality of knowledgeable guides at the various locations. Fun. Amazing. Well-planned. Efficient. Did I mention amazing? Enter your details below if you would like to be notified when 2020 dates and prices are available for Deluxe Alaska Sampler. Prices are land-only, per person based on double occupancy. Package prices may vary from published rates with hotel and tour selection. Prices are correct at the time this web page is published; however, are subject to change.